Want some free water cycle software? GIS based terrain mapping allows for automated catchment analysis – and spatial as well as temporal patterns in water data. All water packages have a raster backbone. Integrating water supply, sewerage and stormwater in the human environment to conserve ecology is a design choice that comes with real and substantial costs. The benefits – if we can afford them – are clean water and vibrant environments. Building carbon stores in agriculture and forestry soils and biome through management is key. It has been declining – since the advent of Holocene technology apparently – but more in the last century. More than science it needs conservation agriculture and polycentric governance of the global commons. There are a few ocean influences on Australia. Depends on where in the country. Rain and dew collector from Warka Water. Light – cheap – simple water source. The earth’s atmosphere is packed with moisture. It is a huge freshwater reserve: 13,000 km3. 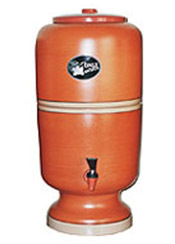 Eole Water has created an innovative technology which is able to turn this moisture into drinking water. Solar powered electrodialysis – recover 10 times more water – for briny groundwater. From the annals of the astonishingly simple and cheap. The straw filter is made from durable plastic approximately 10 inches in length and 1 inch in diameter. The internal components include membranes, iodized crystals and active carbon, which removes the iodine taste and medium-sized bacteria and is effective against waterborne bacteria and viruses, such as typhoid, cholera, E. coli, dysentery and diarrhea. The two-stage filtration system reduces harmful particles, from 125 micron down to a minimal 15 micron. In urban environments, impermeable surfaces (streets, footpaths, rooftops etc.) dominate the landscape, preventing rainwater from following a natural cycle of absorption. As much as 75-80% of the rainwater runs into stormwater/sewer systems carrying contaminants from the air and roadways. This water flows untreated into lakes, rivers and harbors. In some cases, it may cause overflows of sanitary sewer systems, causing the dumping of untreated sewage (combined sewer overflow) into our waterways. The Rocla Up-Flo™ Filter is the most efficient high rate stormwater filtration technology available for the removal of sediments, nutrients, metals and hydrocarbons. As the industry’s only fluidised bed up-flow filtration technology, the Up-Flo™ Filter provides a higher level of treatment of stormwater runoff, a higher rate of filtration, longer life of filter media and a longer maintenance cycle than other filter systems. The Rocla Up-Flo™ Filter is available in multiple configurations, has a small footprint and removes >90% total suspended solids (TSS) with a mean particle size of 20 microns.